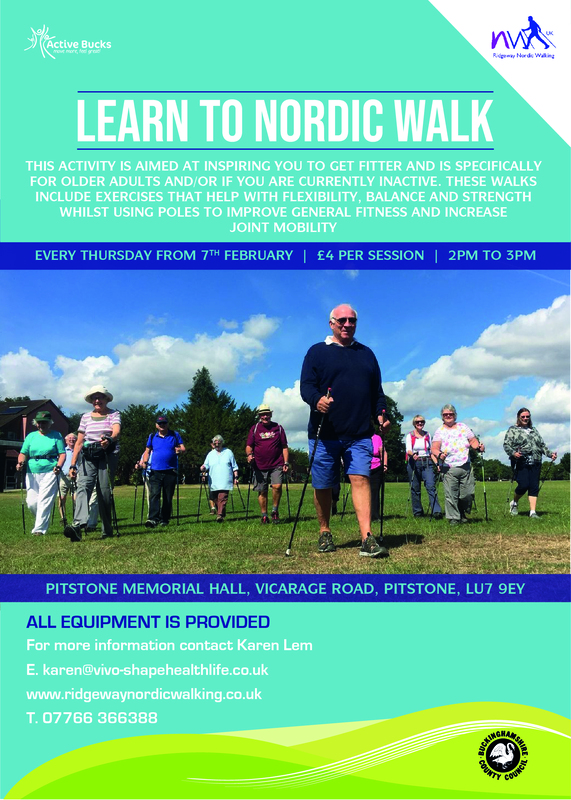 This activity is aimed at inspiring you to get fitter and is specifically for older adults or if you are currently inactive. 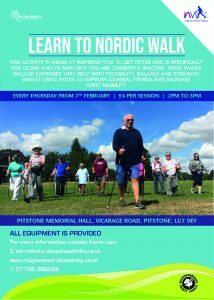 These walks include exercises that will help with flexibility, balance and strength whilst using poles to improve general fitness and increase joint mobility. Every Thursday from 7 February. £4 per session. 2-3pm. For 24 weeks. Meet at Pitstone Memorial Hall, Vicarage Road, Pitstone, LU7 9EY.